Book Riot Live! is (Almost) Here! It’s the night before Book Riot Live! Here’s a by-the-numbers look at my trip so far. Posted byDani November 6, 2015 April 6, 2017 Posted inBlog, The Reader LifeTags: blog, book riot live, by the numbers, cynthia ng, everything I never told you, harry potter alliance, kate atkinson, life after life, new york city, reynolds pamphlet, travel, welcome to night vale1 Comment on Book Riot Live! is (Almost) Here! 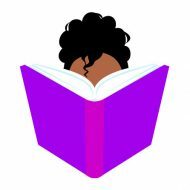 Tamika Flynn, the teenage leader of the Night Vale militia, is the patron saint of black girl bookworms. Here’s why we love her.